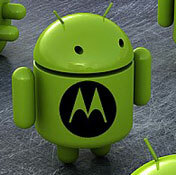 Early this morning, Google announced their plans to acquire Motorola Mobility - the Android smartphone OEM. "With its $12.5 billion deal to acquire Motorola Mobility, Google is gaining not only a major Android handset manufacturer, but a vast trove of intellectual property with which to defend it." The punch line here folks is that Google was feeling a little light in the Intellectual Property (IP) department, so they when out and acquired a company that already had a lot of IP build up. Google intents to use their new found IP and patents to protect not only themselves, but their Android licensees from patent trolls like Microsoft and Apple.